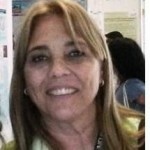 Gabriela Acosta has a degree in Biological Sciences (1985). She completed her doctoral thesis work at the Institute of Pharmacological Research under the framework of CONICET postgraduate scholarships, obtaining the title of Doctor in the University of Buenos Aires, Pharmacology area (1993). After entering the Career of the Scientific Investigator of CONICET (1995) he made his first academic visit to the Department of Physiology and Pharmacology, at the Karolinska Institute, Stockholm, Sweden, invitation made by Associate Professor Dr. Mario Herrera-Marschitz (August 1995 ). He belongs to the editorial committee of the journal “Clinical & Experimental Pharmacology”, OMINCS Groups. Participates in Scientific Dissemination through the “Con Ciencia Médica” Program broadcast by UIA radio (Open Inter-American University). 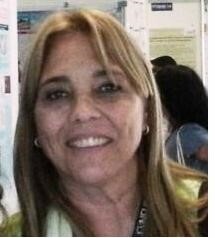 She is currently an Independent Researcher of CONICET at ININFA in the LABORATORY OF GLUTAMATE TRANSPORTER NEUROBIOLOGY.